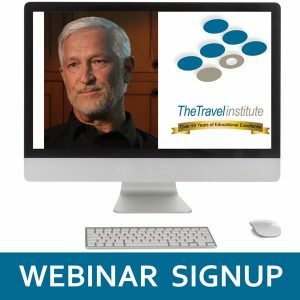 The new Certified Travel Industry Executive (CTIE) program has been totally rebuilt with fresh content and, for your convenience, all the material is accessible online 24/7. The course focuses on the critical skills that today’s leaders need to succeed. 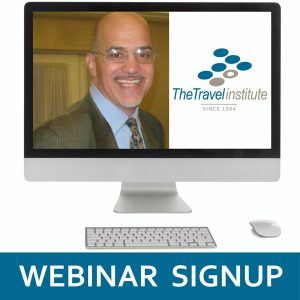 The Certified Travel Industry Executive (CTIE) program is designed with the in-demand skills that are need in leaders today. It is more than just “being in charge” a leader needs to be sure that they focused on goals that are aligned with their company and that they have a team behind them that is focused on achieving those goals as well. Each of the online course topics build upon each other – and you will see how the courses create a complete leadership preparation program. Each core topic is supplemented with additional reading, interactive exercises, and travel related management topics. After identifying your leadership style with the DISC Leadership Styles course; the leadership core components (Becoming an Excellent Leader, Strategic Leadership and Transformational Leadership) are crafted to make you more effective, able to properly apply the organization’s core values, and meet the challenges and obstacles along the way. Developing strong co-workers, employees and a cohesive team involves guiding, encouraging and supporting them in their growth. Coaching and Team Building skills are important skills and give you the confidence to lead individuals and a strong company. Creativity will help you find new ways of doing business and getting the most from your staff. Knowing how your employees and co-workers think and “operate” and how to get the best work from these people is the essence of the Coping with Change and Emotional Intelligence training. Using these personnel skills will soon be leading an organization that is a well-oiled machine. This program consists of a series of online videos delivered by experienced engaging educators who provide you with practical advice that can be used immediately. These courses are available anytime 24/7 in our unique online environment. Cancellations/Refunds: Online study is non-refundable. You may stop your payment plan at anytime and withdraw from the program, but no refund will be made. Payment Options: The Travel Institute believes that in times like these it is important to remain fiscally responsible while still pursuing industry recognition. We offer a 12-month payment plan. With payments staring at just $45.99 for materials in Online format, certification can easily fit into most any budget. There is a $25 Sign-Up Fee by selecting this payment option. 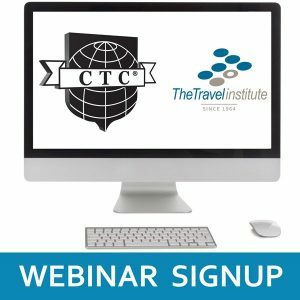 *Certified Travel Industry Executives (CTIEs) are required to earn a minimum of ten Continuing Education Units (CEUs) per year to maintain their certification. In addition to being a member of The Travel Institute, our CEU requirement is an effective way to master new skills, attain product knowledge, remain current on industry trends, and continue to develop your role as a travel professional.